At Dynamic Repair Solutions, we offer a number of different services to meet the needs of our customers. While our primary focus is on the repair and maintenance of power wheelchairs and scooters, we also offer custom orthotic services, as well as a full line of wheelchair parts and accessories. If your power wheelchair or scooter is in need of repair, why not choose us to get you moving again? We are committed to earning your trust and respect. 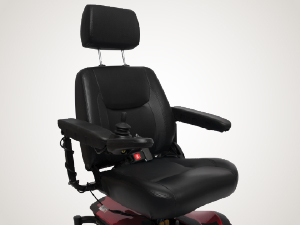 Our specialty at Dynamic Repair Solutions is the repair and maintenance of power wheelchairs and scooters. Whether your wheelchair simply needs a new battery or the motor has malfunctioned and in need of replacement, our skilled service technicians have the experience and knowhow needed to help. And for our customers' convenience, we offer in-house service and repair. We encourage you to take advantage today. Power wheelchairs and scooters are made up of many components, some of which move at high rates of speed. Occasionally, these components will wear out, break due to stress, or fail unexpectedly. In such cases, we can help at Dynamic Repair Solutions. We carry a full assortment of parts and accessories to meet our customers' needs. And we can even install them should you require assistance! 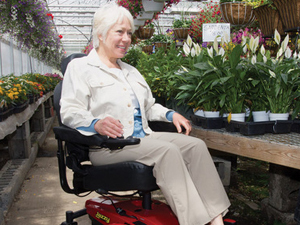 We encourage you to learn more about the parts we offer so that you're prepared the next time your wheelchair decides to stop working.